Dunajská Streda is a town in southern Slovakia. Approximately 80% of the local residents at Hungarian and for many life is quite tough. 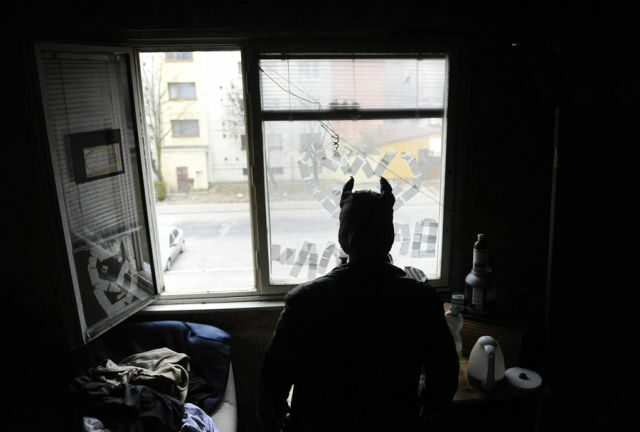 But Dunajská Streda has something (or rather someone) that makes their town stand out: they have their own superhero. 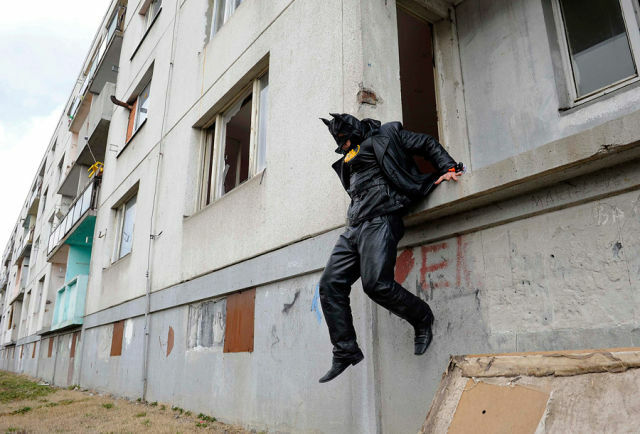 26 year-old Zoltan Kohari lives in a derelict house without water, heat or power, but this hasn't stopped him from becoming the Slovak Batman. 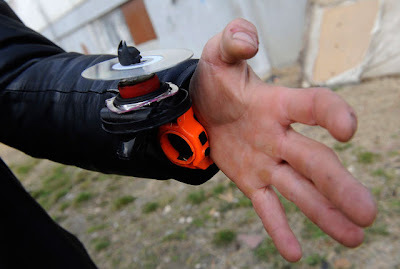 Having assembled his own costume from leather, Zoltan also builds gadgets to help him in his crusade. 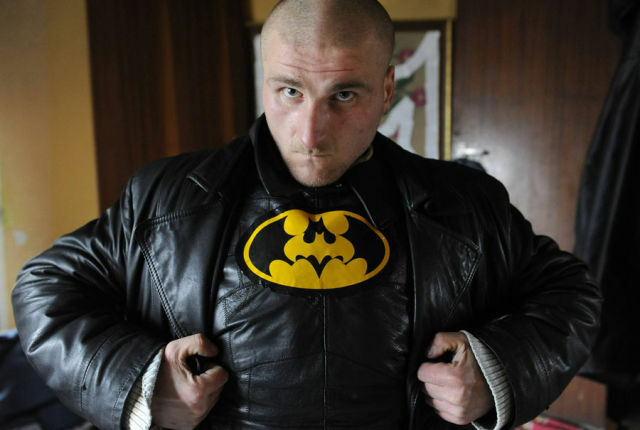 Unlike the 'real' Batman, Zoltan has a social conscience (billionaire Bruce Wayne never thinks of offering the Gotham police the same kind of body armour that he wears, etc, etc) and decided to make a difference in his local community by doing whatever he can to help. Fighting criminals really isn't on the agenda much although Zoltan liaises with the police to keep them informed of what's going on around town. A lot of Zoltan's time is spent picking up litter and clearing rubbish as well as watering plants and cutting the grass on lawns. Although Zoltan receives no payment for his activities, he's remarkably popular with the locals and they like to reward him with gifts and food. Personally I find it rather delightful that there is a real life superhero who actually helps people. 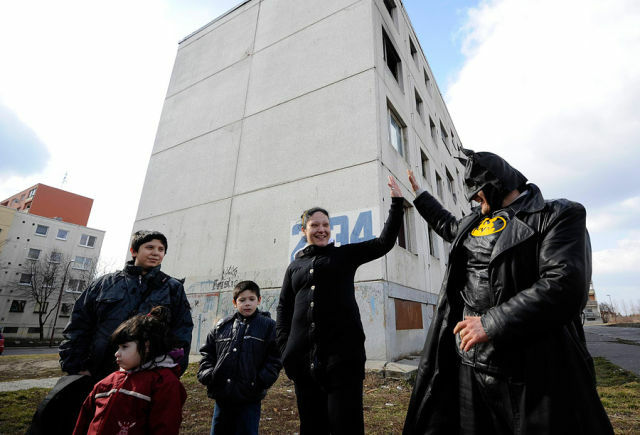 There's a sudden rash of costumed superheroes in the States and they seem to concentrate on trying to intervene in crimes so it's charming and refreshing that the Slovak Batman picks up litter and waters plants. As someone once said in some comic or other "Thanks for saving us from the supervillains, but I can't help but think there weren't any round here until you guys showed up." Mystery Monday: Was Jesus Chinese? Mystery Monday: Is this the tomb of Jesus Christ?